Watch how a project manager can use IBM TRIRIGA to automate, streamline, and manage capital project processes. 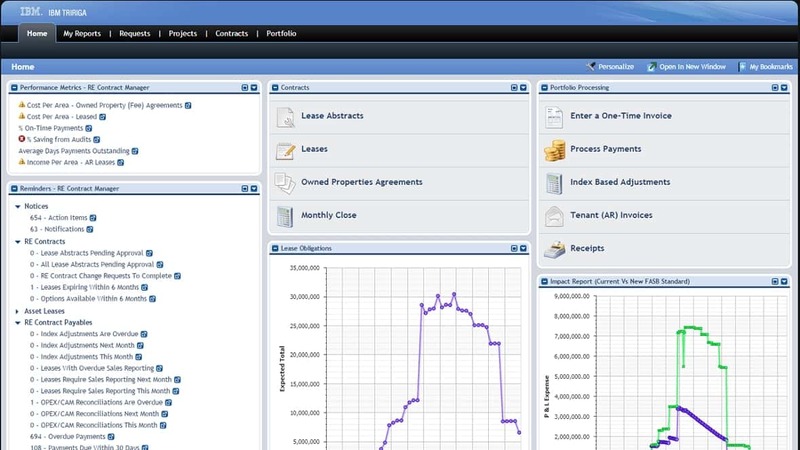 Find out how TRIRIGA can streamline lease administration processes. Learn how IBM TRIRIGA Facilities Management improves facility planning and increases facility utilization. Find out how IBM TRIRIGA can help streamline your facilities management processes. Learn how your organization can implement an integrated workplace management system while minimizing the business impact. Learn how the TRIRIGA integrated workplace management system (IWMS) can help manage real estate and facilities assets. Discover how you can reduce facility operations costs by centralizing critical facility-management processes. Strategically manage your lease portfolio and more easily comply with new standards. Unlock the value of the cloud for facilities management. Learn how to improve the effectiveness of a distributed workforce, increase facilities utilization and accelerate workplace. Discover the key criteria for an integrated workplace management system (IWMS).